VISIT OUR DUST FREE ENGINE REBUILD FACILITY - AND JUDGE FOR YOURSELF. MMS are trained and qualified to repair and rebuilt any watercraft inboard, outboard or jet engines or gearbox. Each engine undergo a watertest after the rebuild with the customer. Our rebuilts are done to the highest standards. MMS offers a one (1) year / 100 hour Guarantee on each engine rebuild. 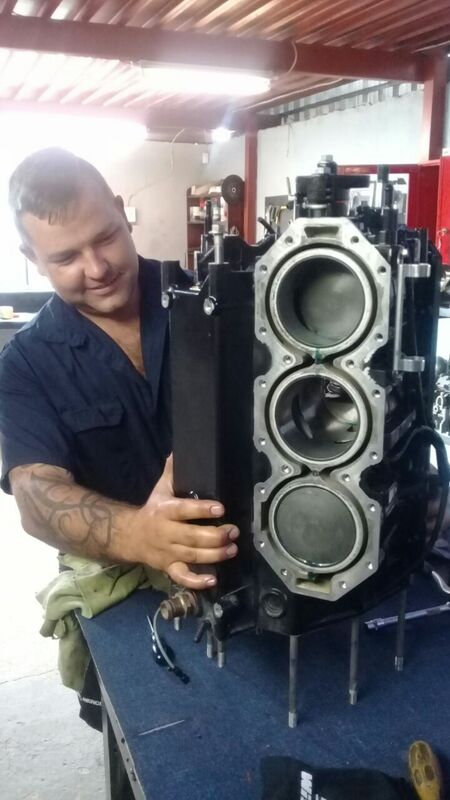 We rebuilt any make / model of engine - Mercury, Evinrude, Yamaha, Seadoo, Honda, Suzuki, MerCruiser etc. We are qualified Mercury & Evinrude Service Agents. MMS is also approved by all insurance companies in South Africa.